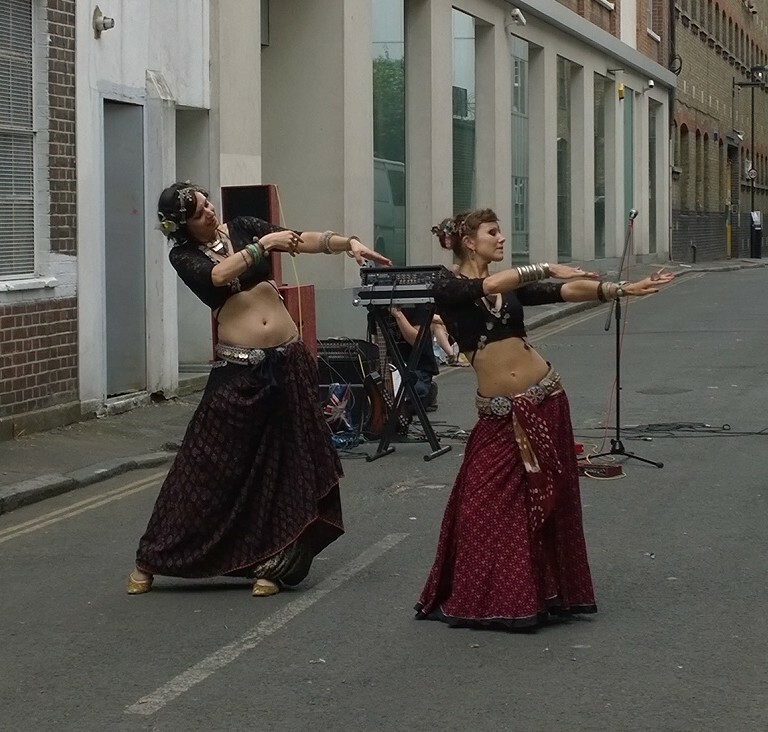 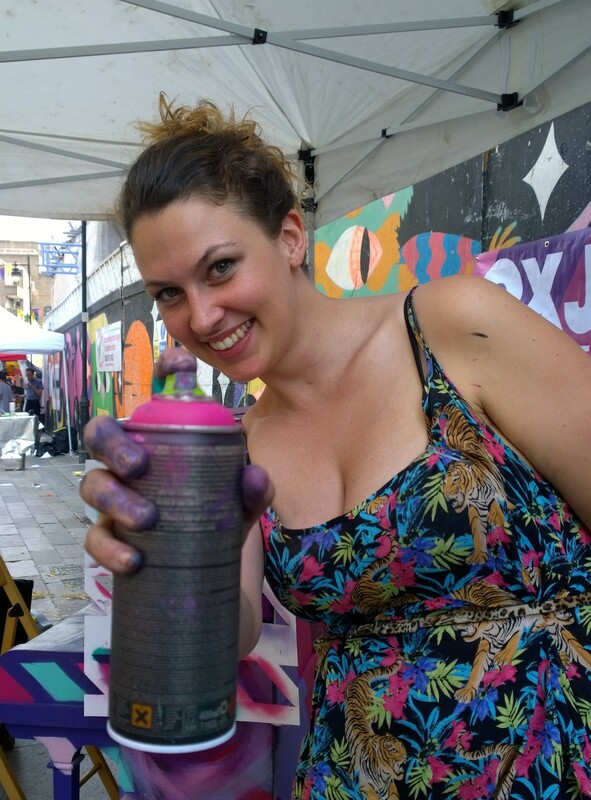 This years Whitecross Street Party proved to be just as fun and eclectic as it’s previous incarnations. 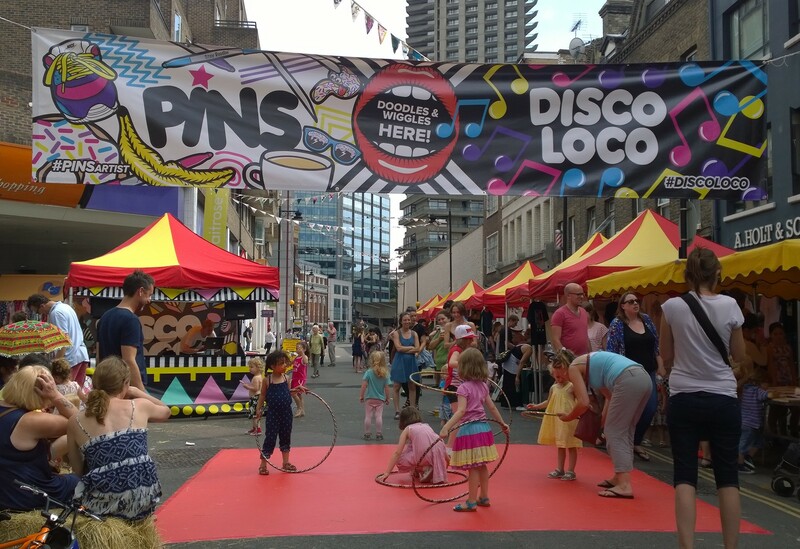 For Inspiring City it was the third time in a row we’d been here and it remains one of our most anticipated events of the year. 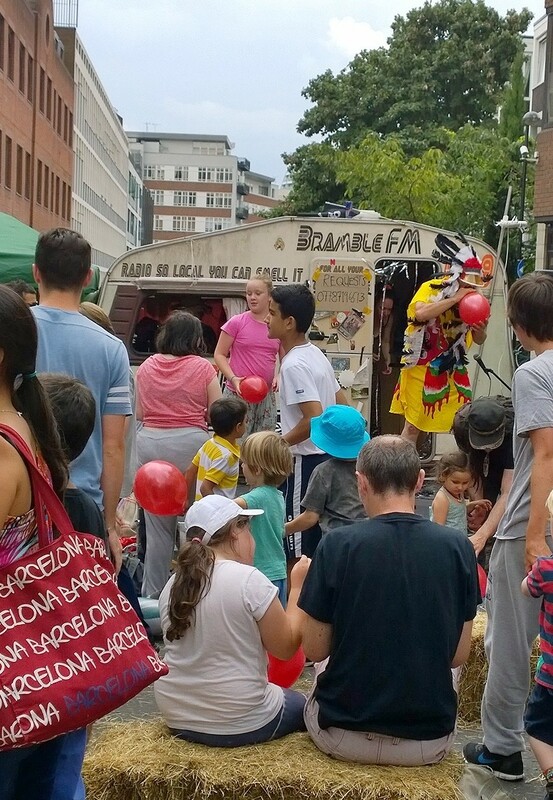 Street performers, artists, musicians, stall owners and the general public who come along to soak up the atmosphere give the event a really unique vibe. 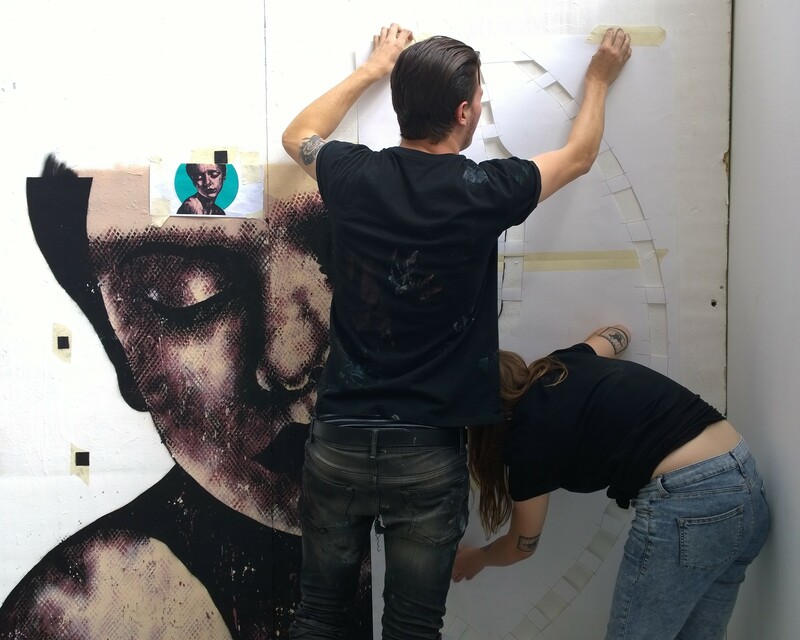 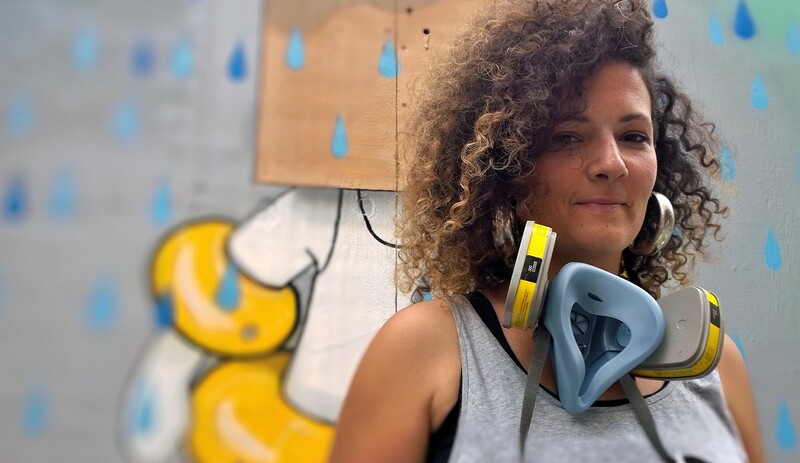 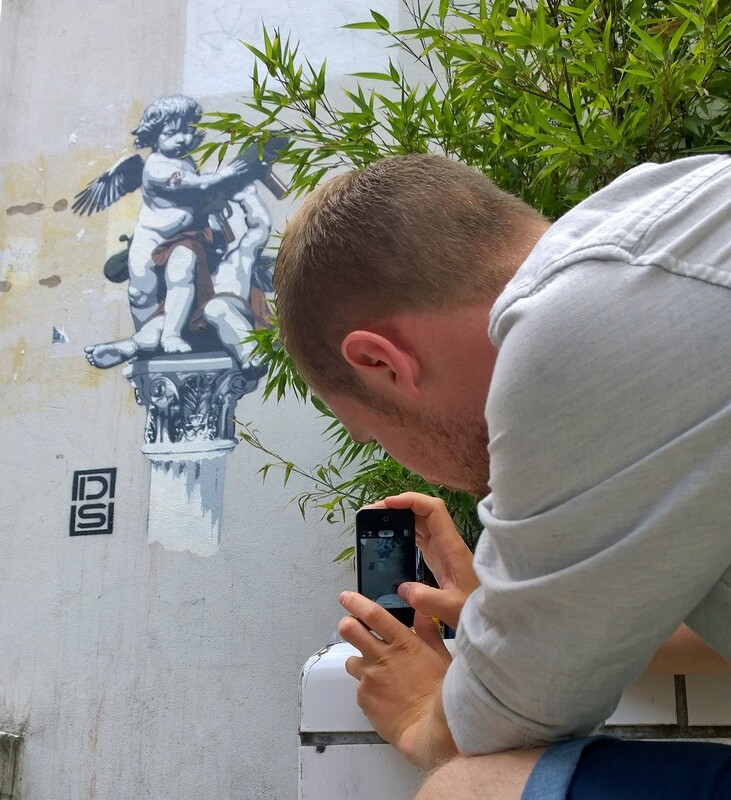 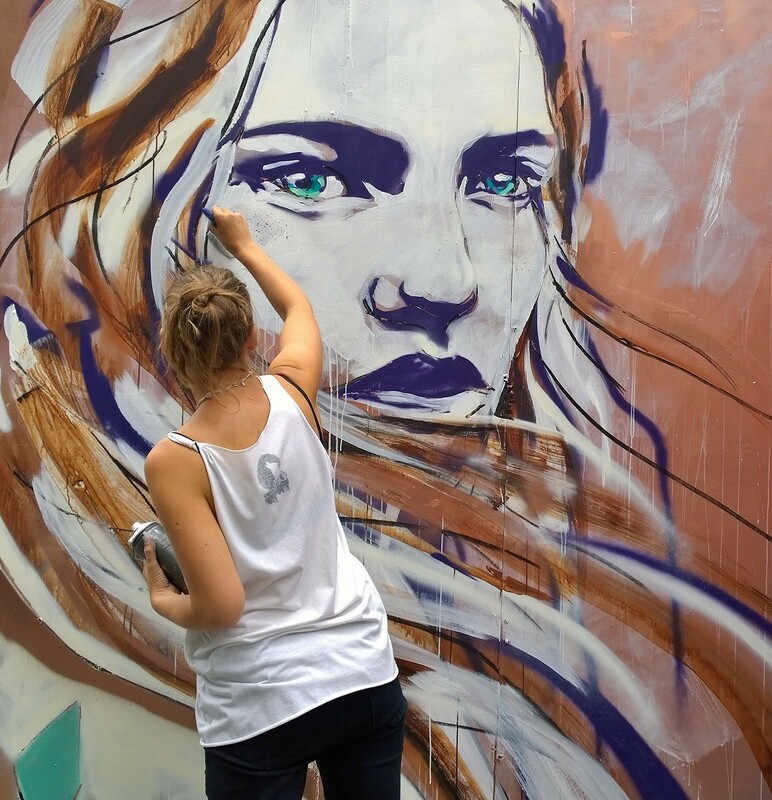 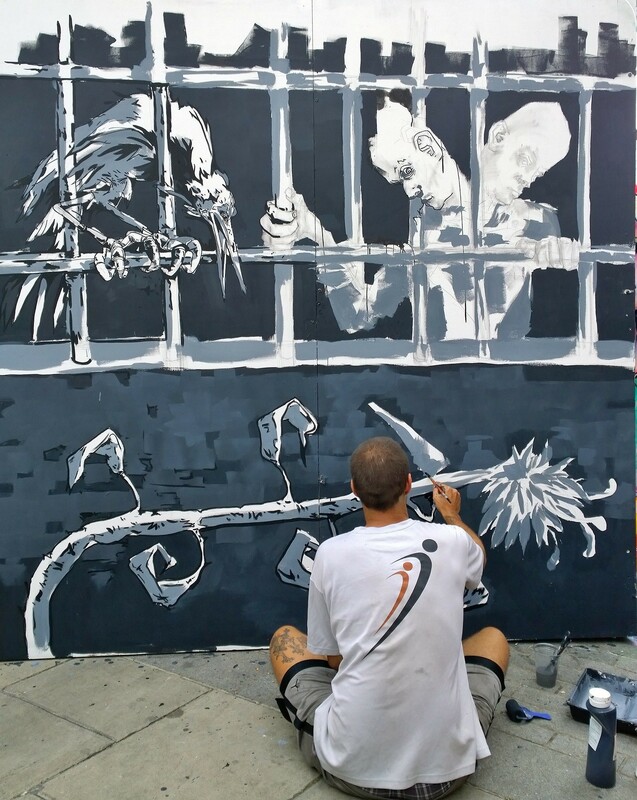 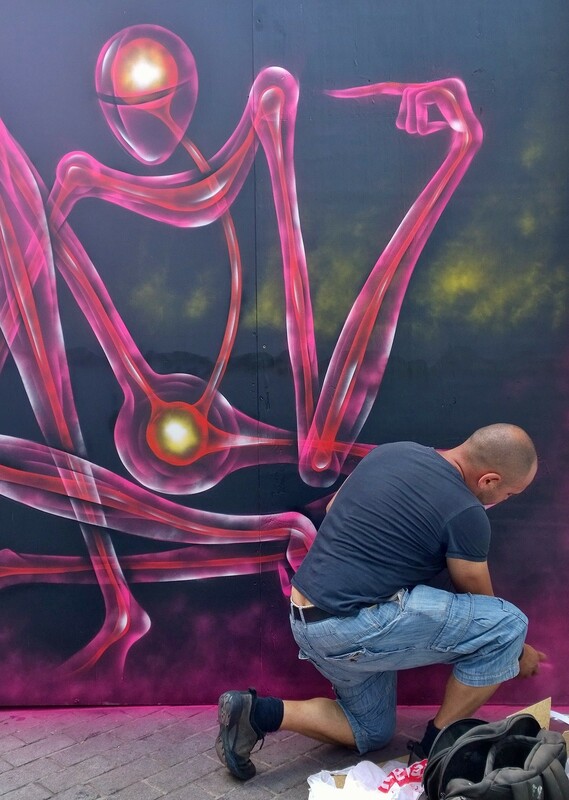 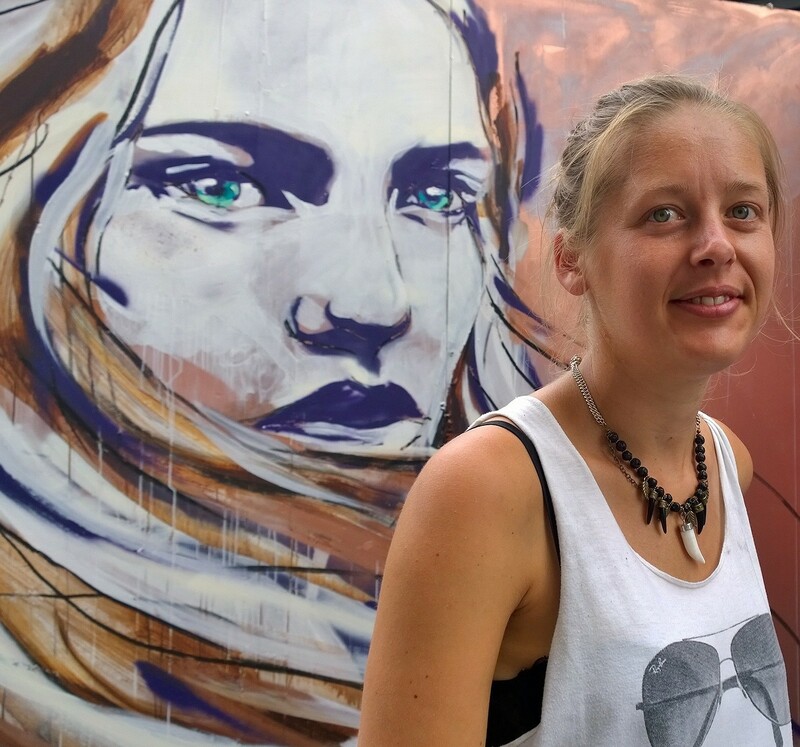 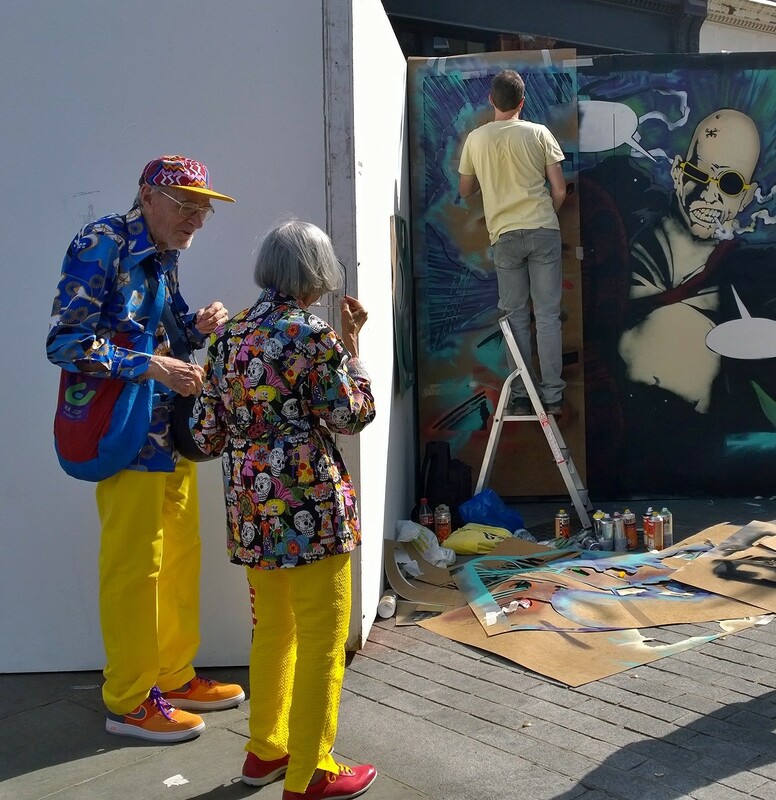 In terms of street art it’s a great opportunity for people to interact with some of the best artists around, see what they are doing, learn about the art and bring it to a whole new audience. 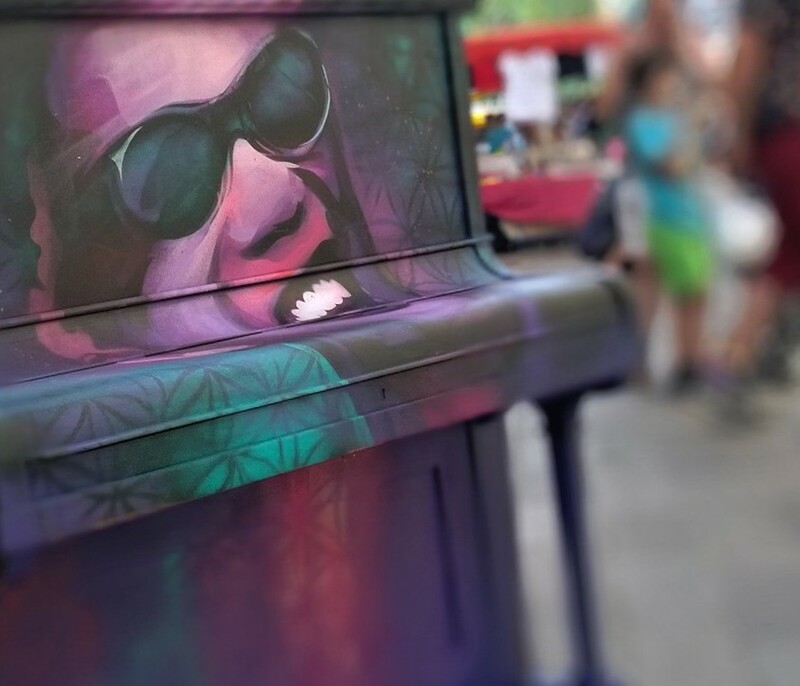 Highlights included the likes of Andrea Tyrimos revisiting her popular ‘brick’ theme, Stephanie Thieu painting a homage to Ray Charles on a Piano and Roy’s People hiding little guys around for anyone to find. 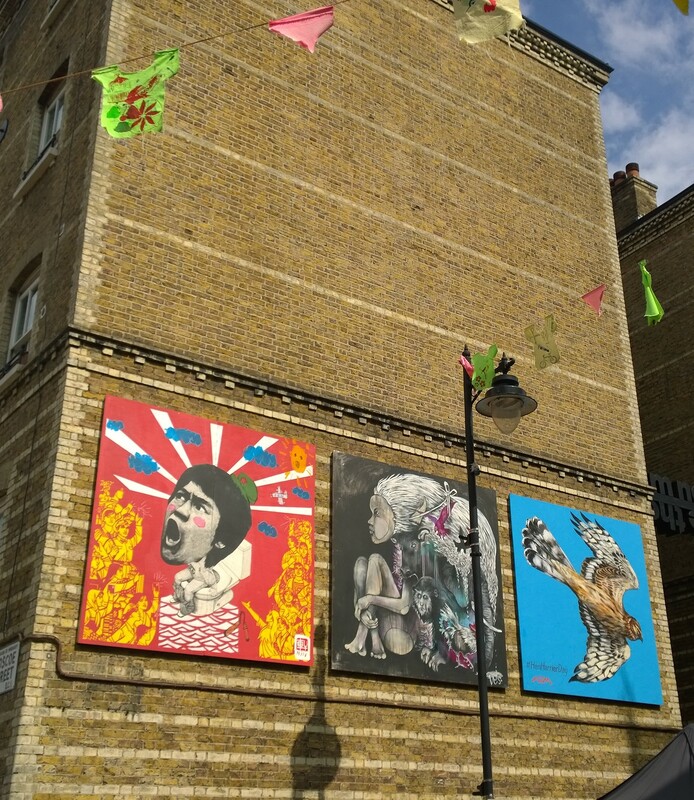 High on the walls of the street original art had been placed featuring original work from Mohammed Sami, Inkie, ATM, HIN, Sean Worrall and Teddy Baden amongst a host of others. 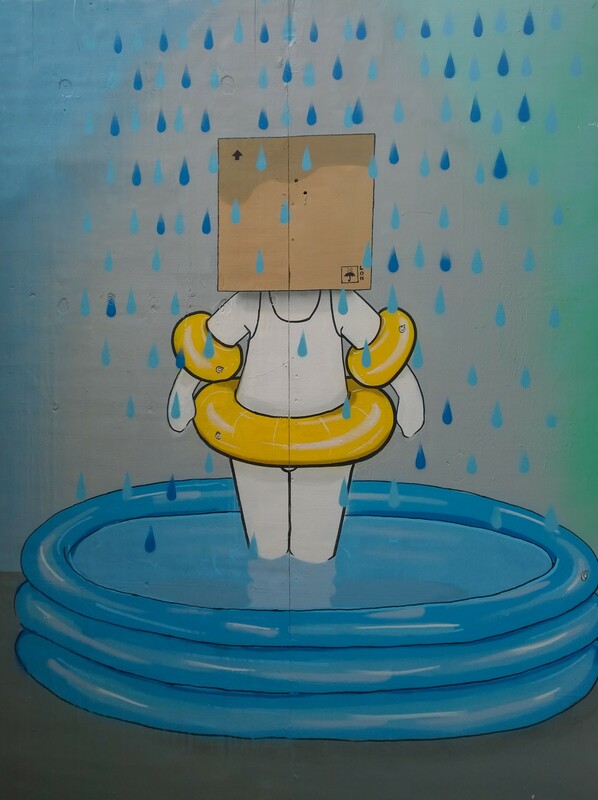 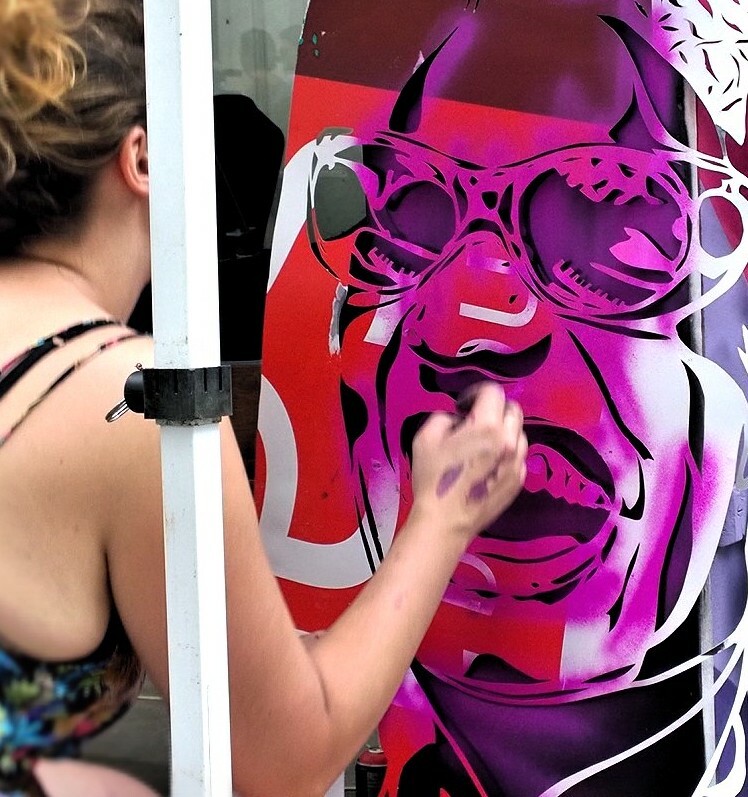 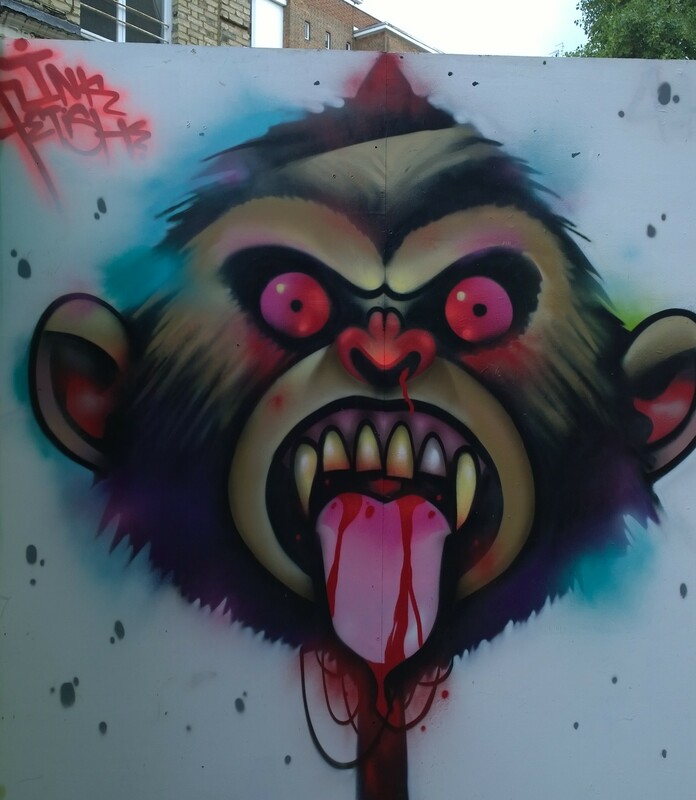 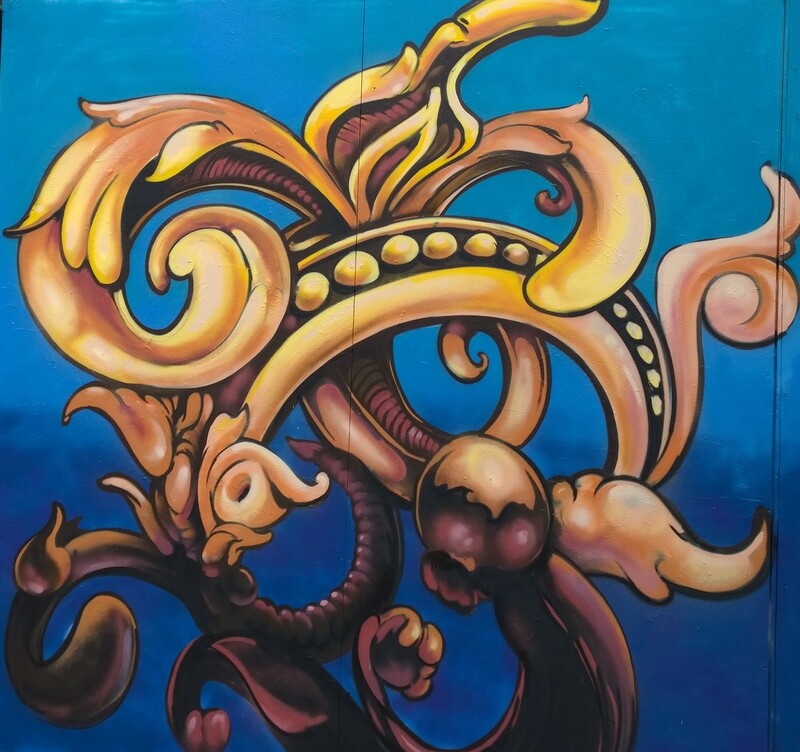 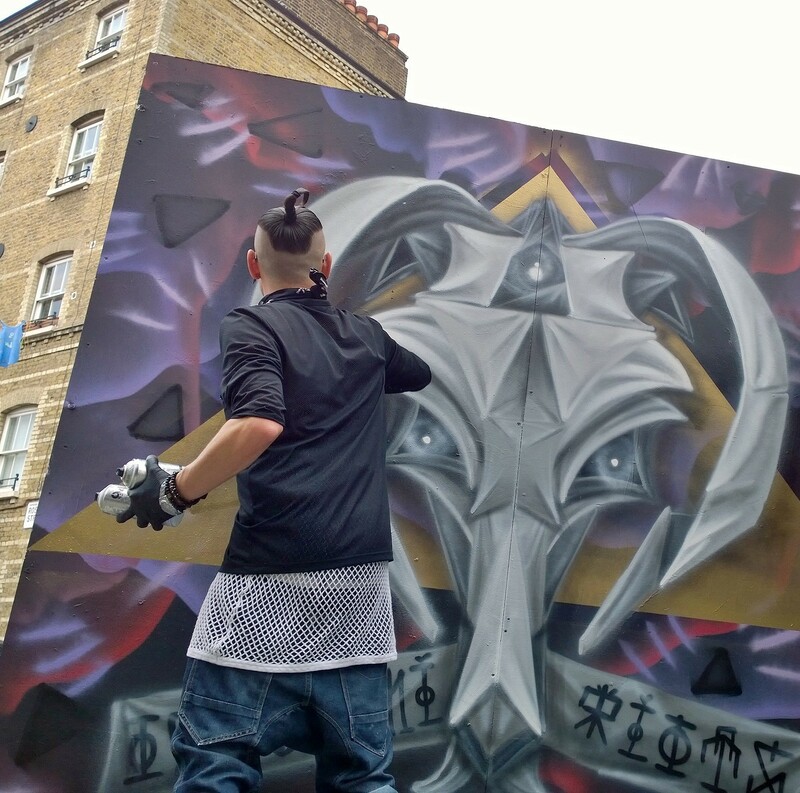 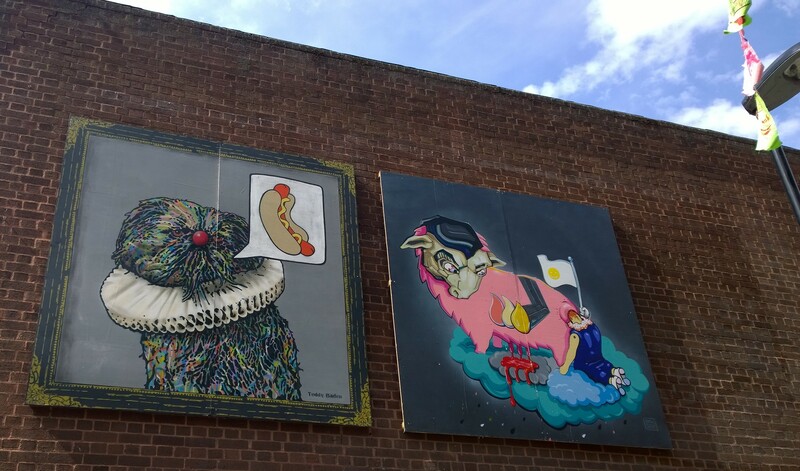 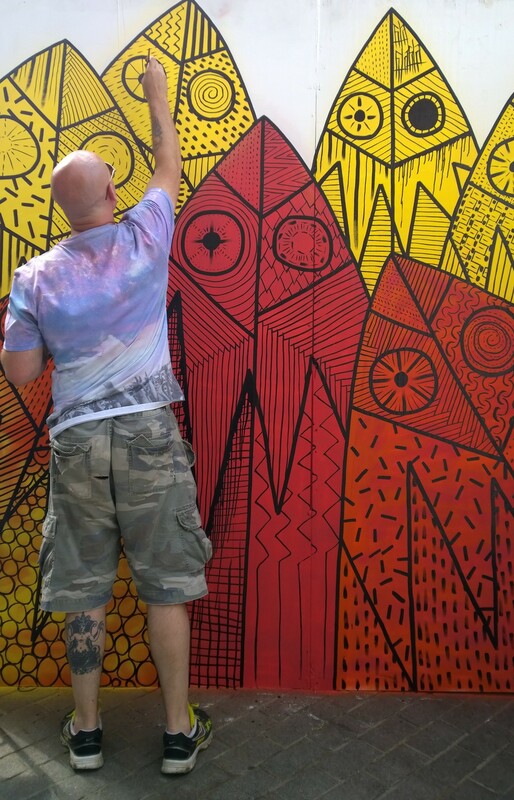 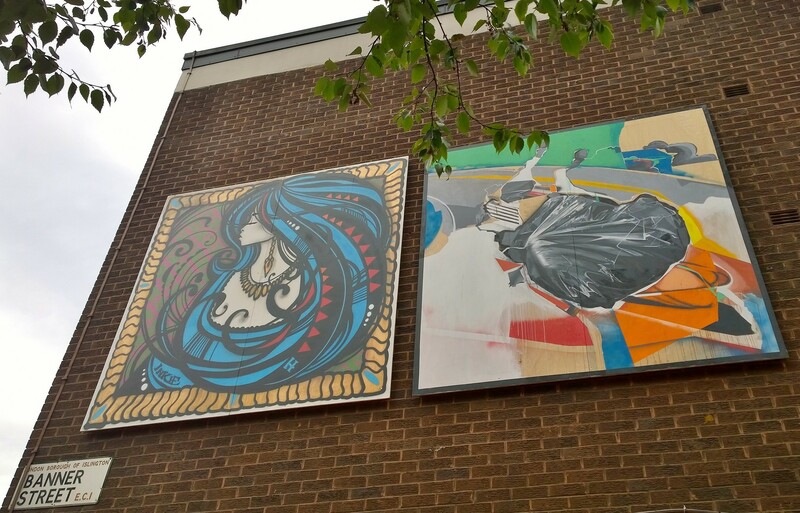 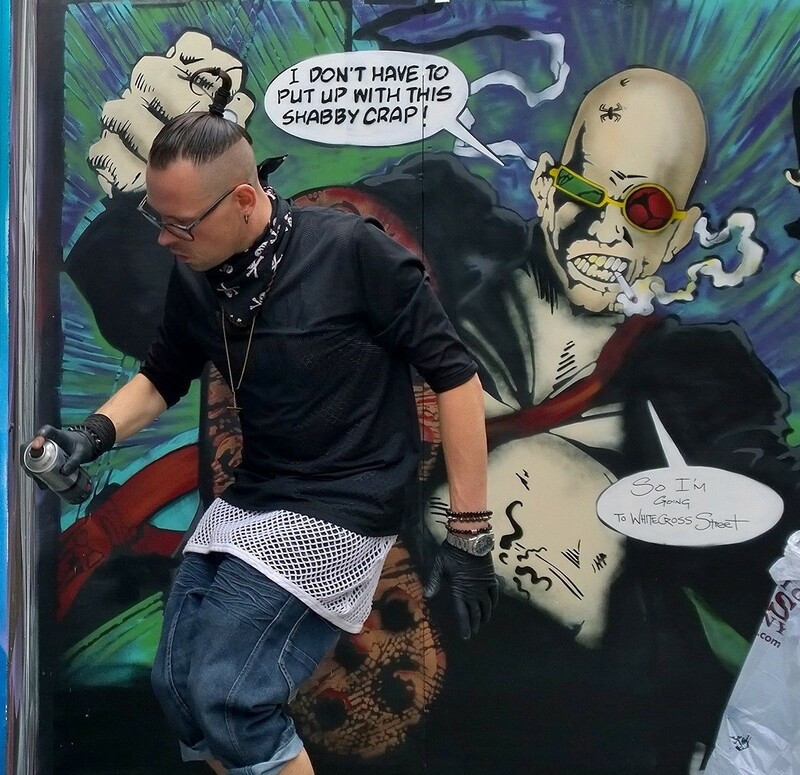 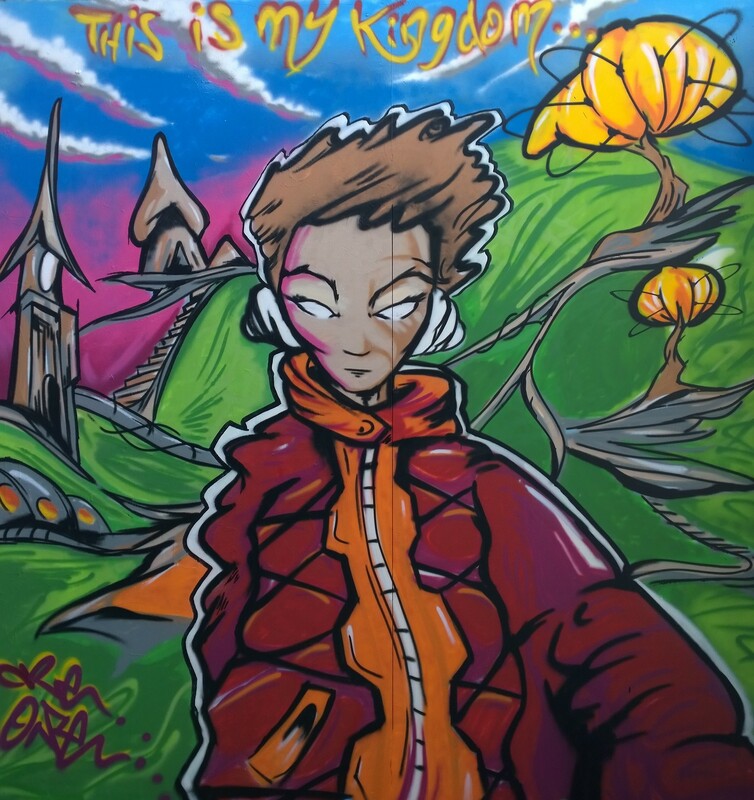 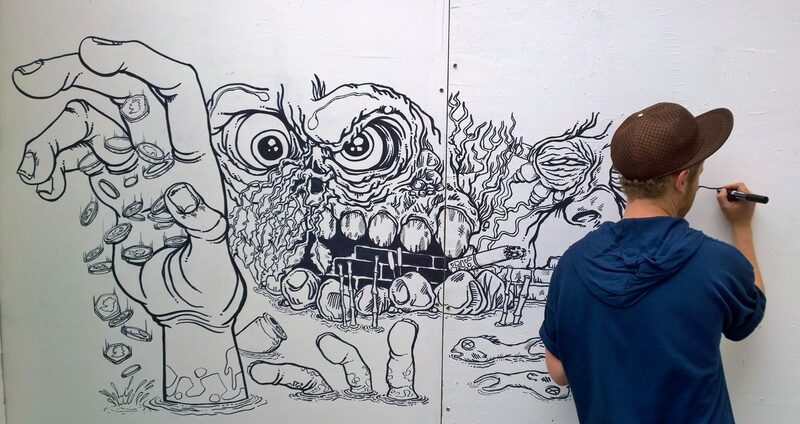 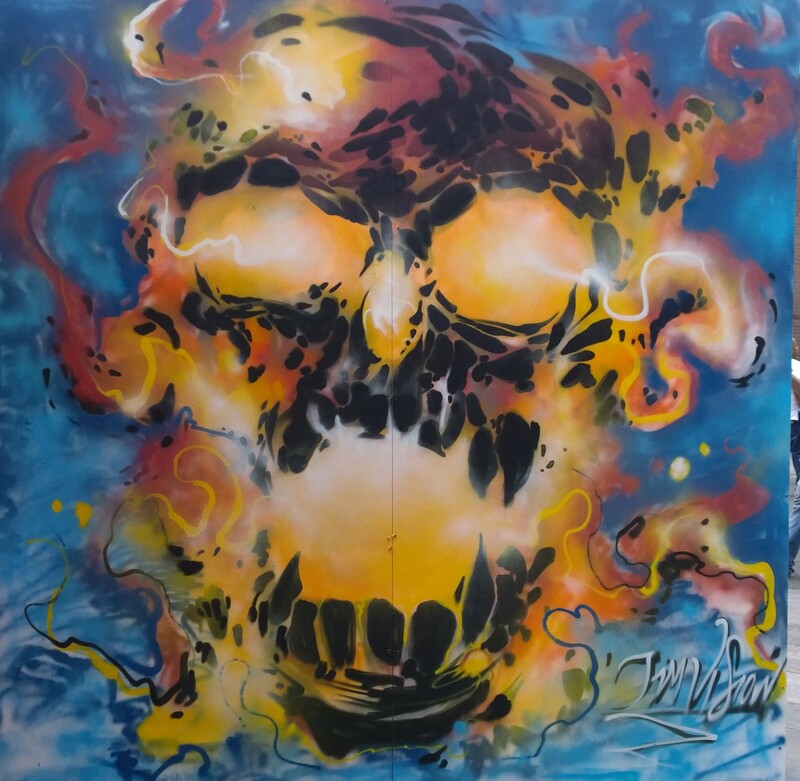 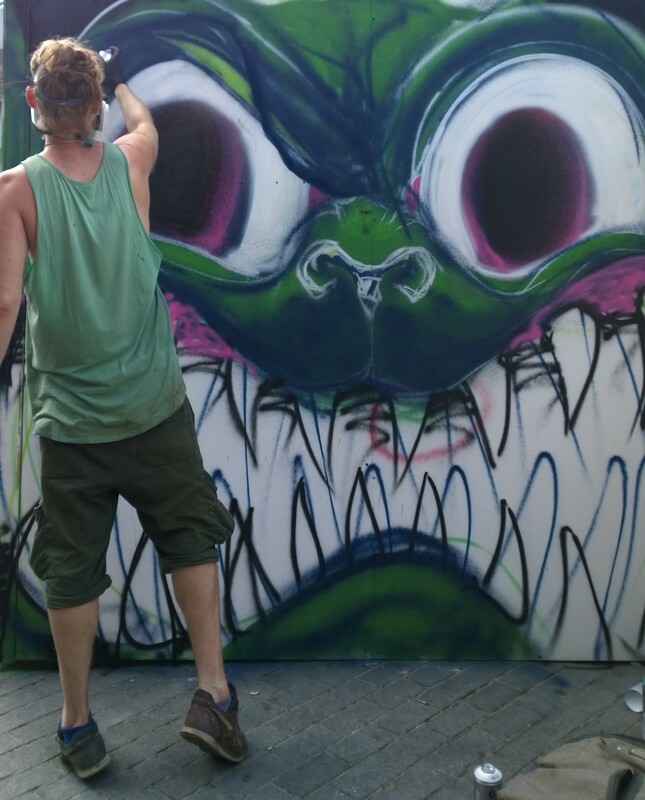 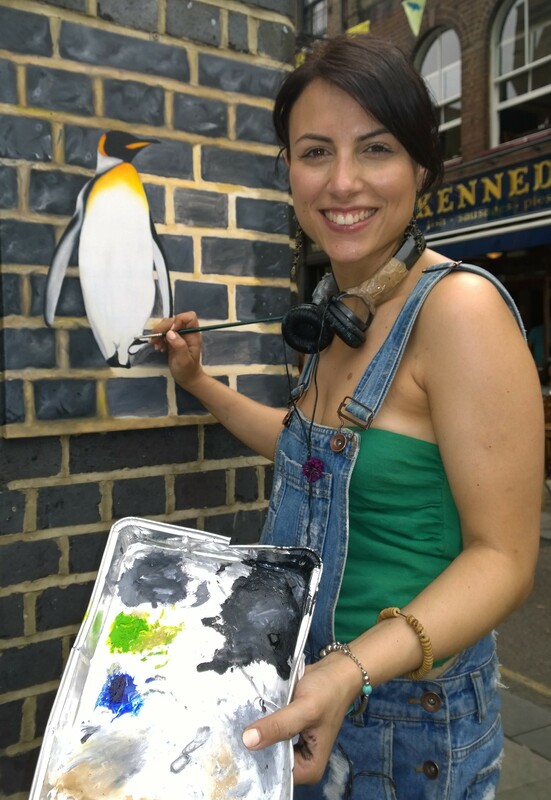 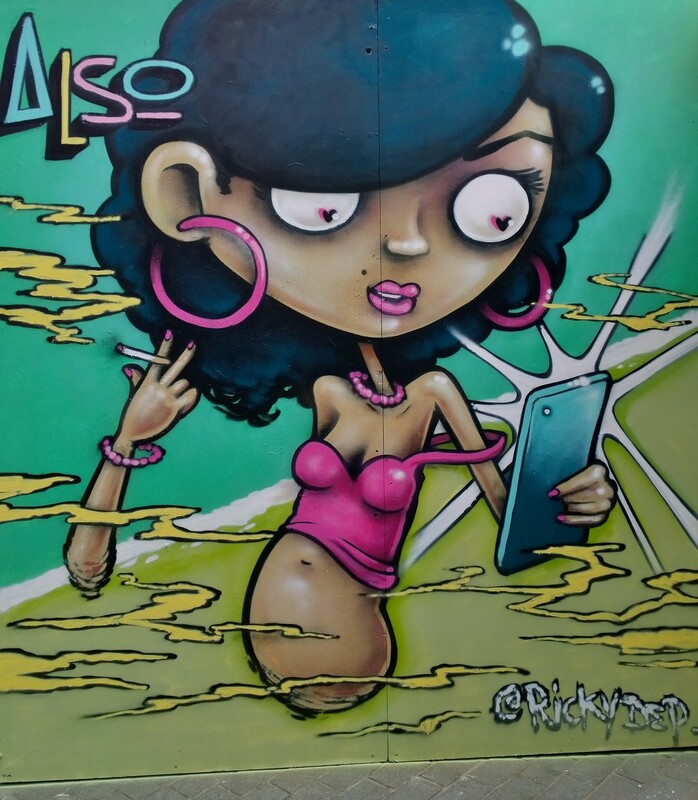 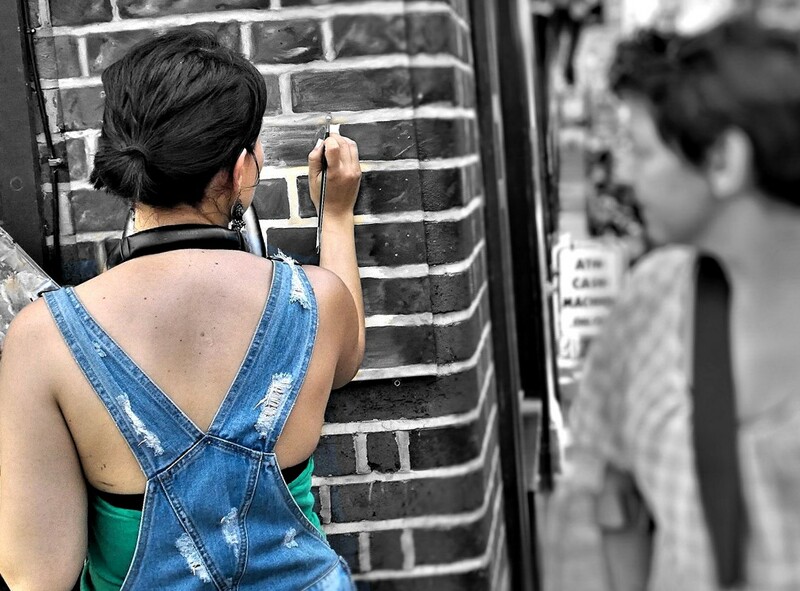 Then on the street, artists live painted on specially placed hoardings creating a popular artists quarter and the likes of Inkie, Leeks, Himbad, 616, Lowdown, Airborne Mark, Otto Schade, Hannah Adamaszek and Boxhead and others all painted in front of admiring crowds. 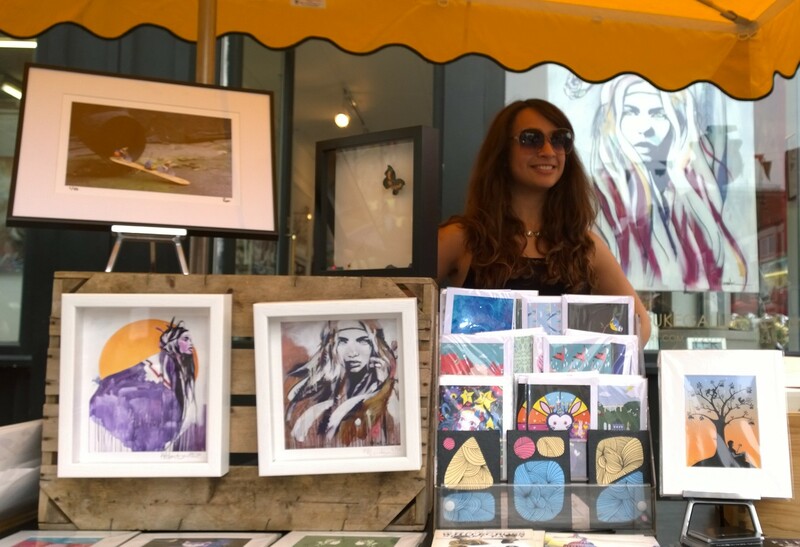 It was a two day festival and as ever with these things it’s the camera that really does the talking so take a look at the gallery below and check out some of the great artists on display. 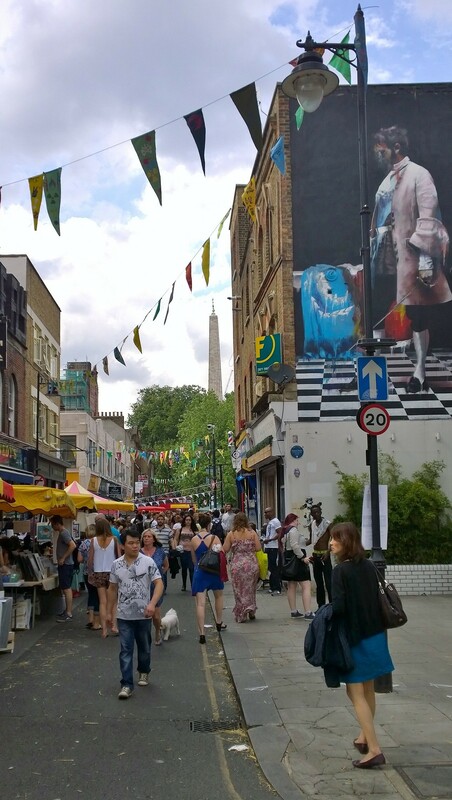 Great captures Stuart… I took my family there today, very enjoyable indeed.. 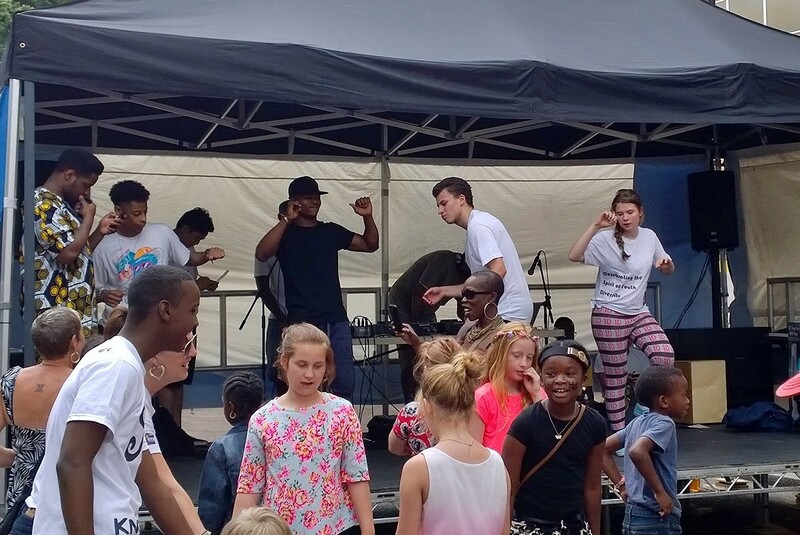 Wonderful vibes!! 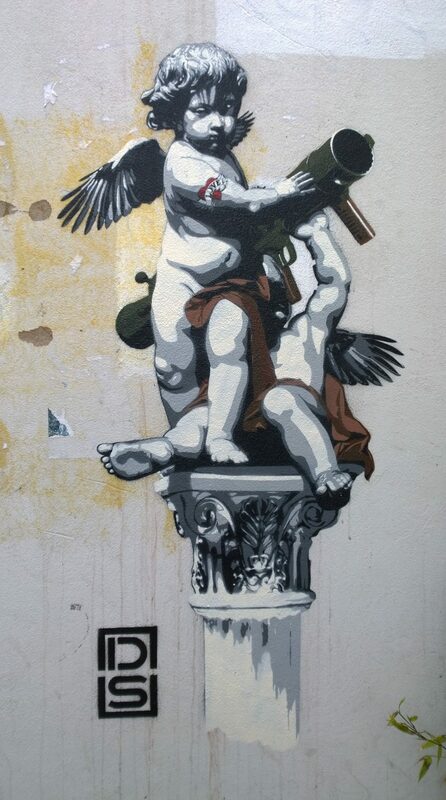 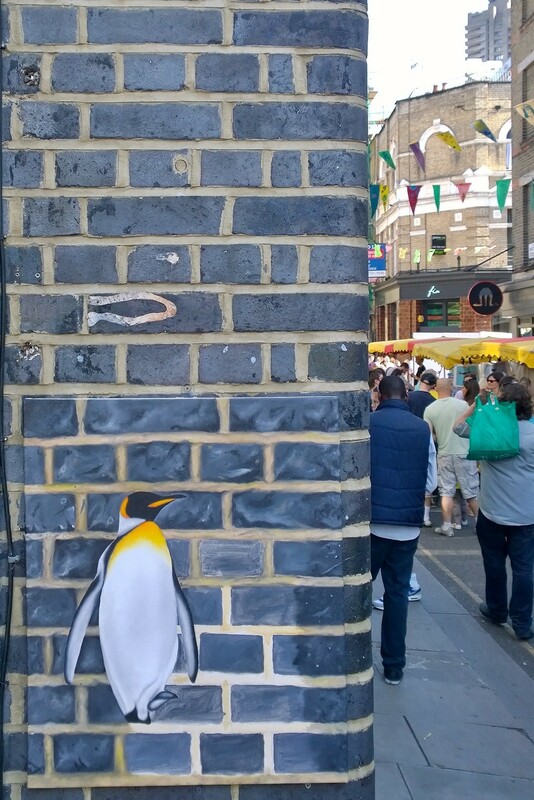 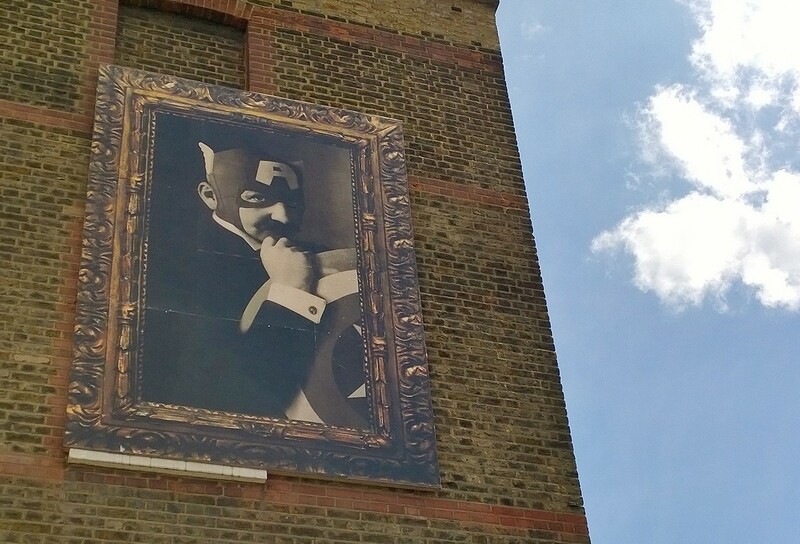 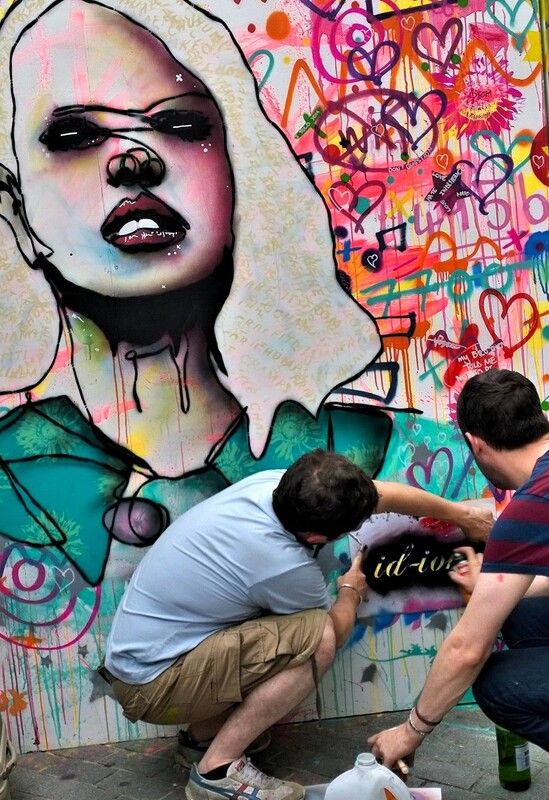 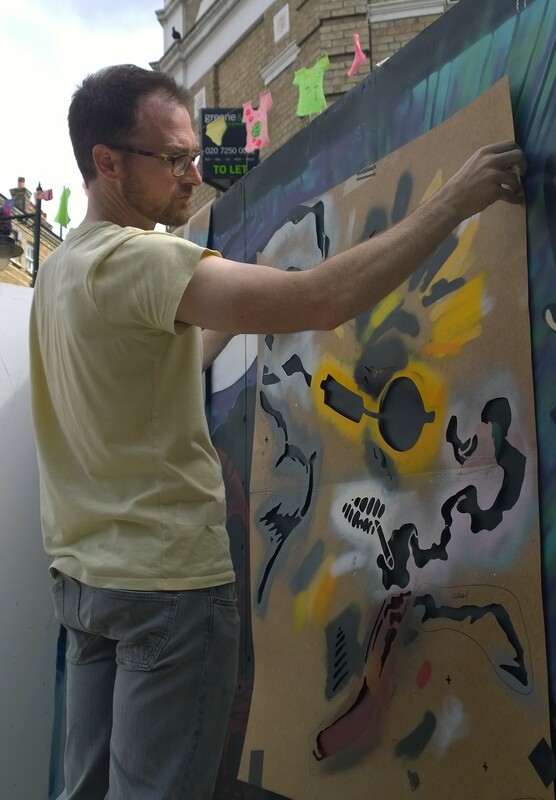 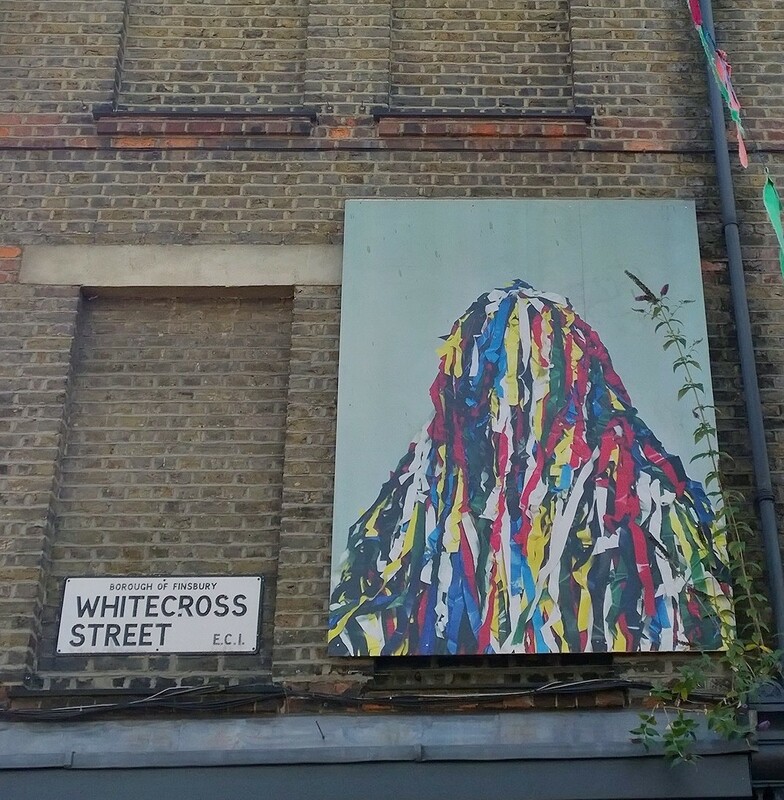 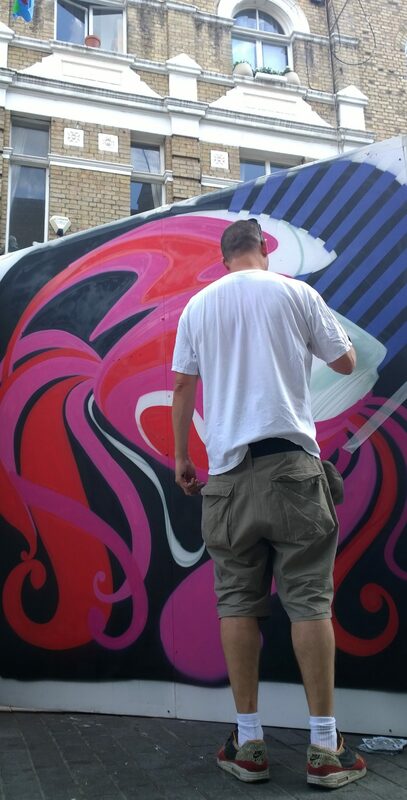 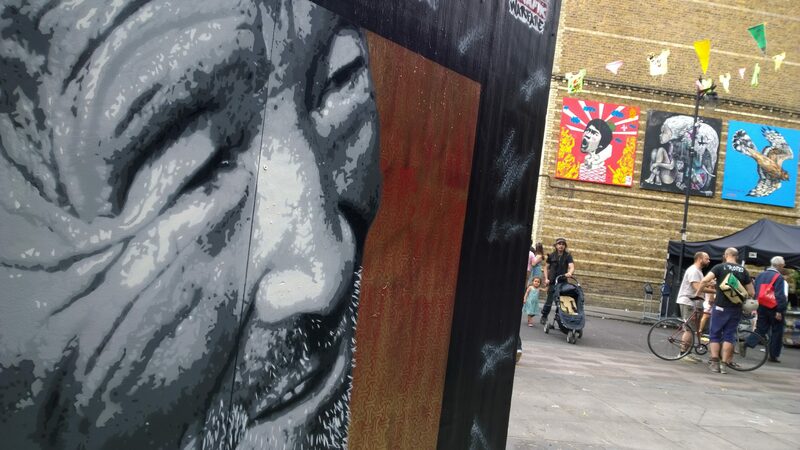 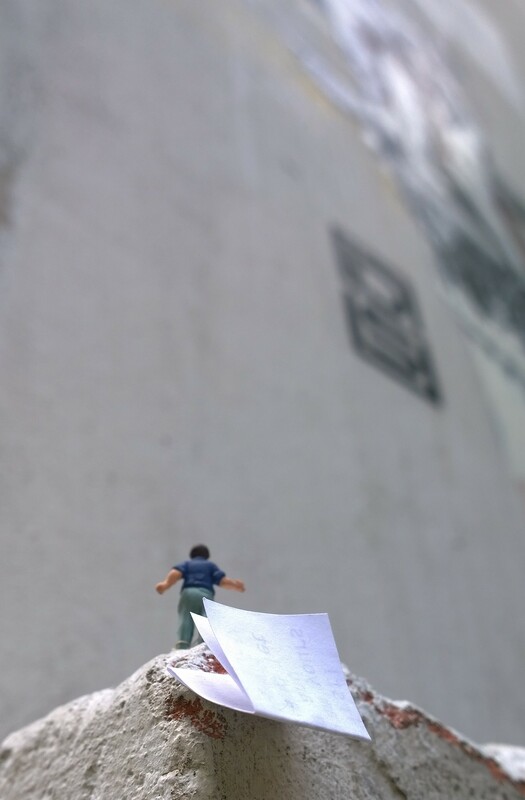 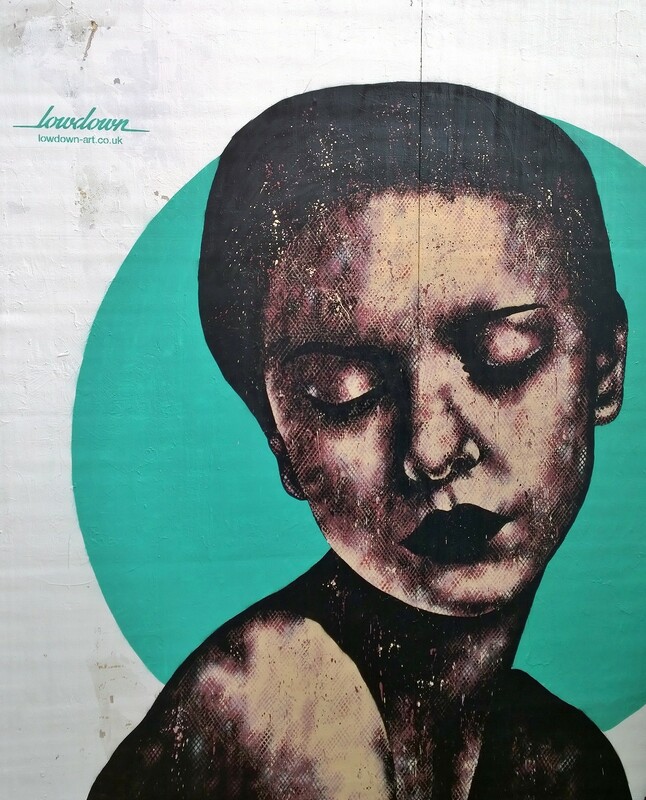 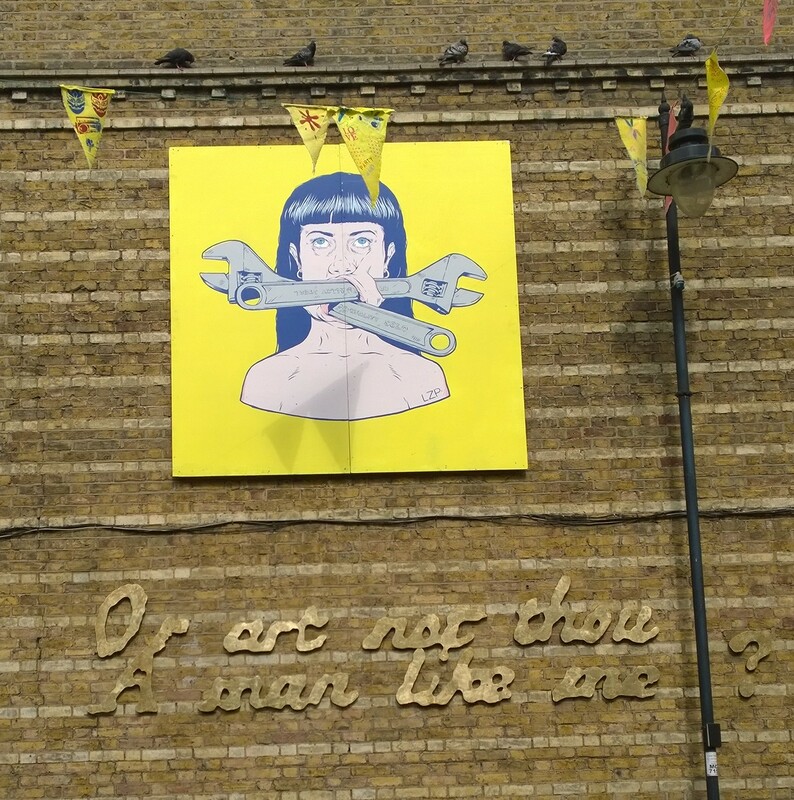 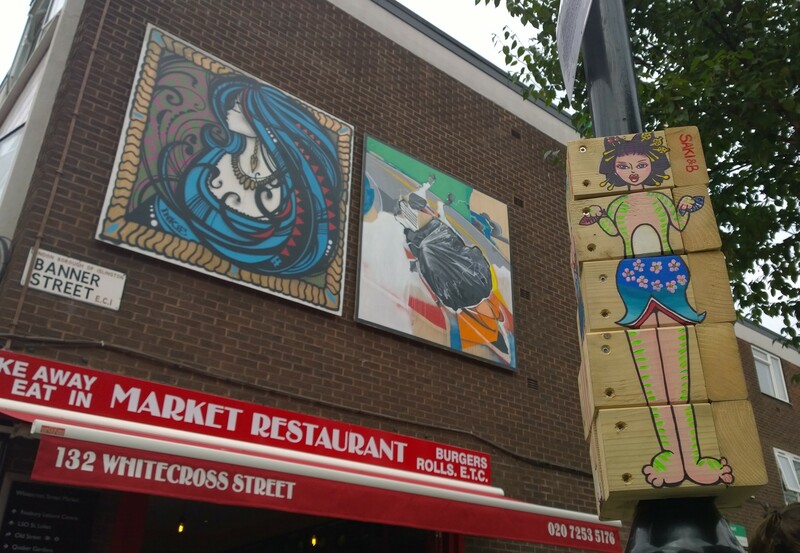 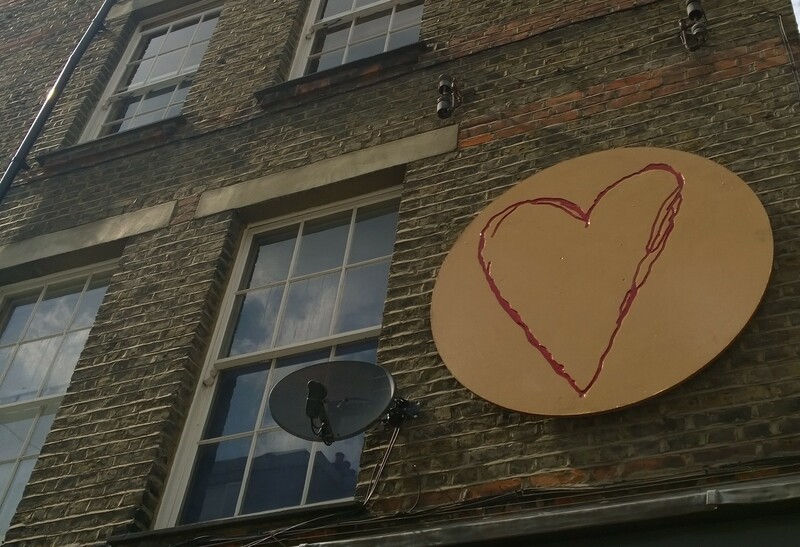 Pingback: Whitecross Street Party 2015 the street art | "Notice what you notice..."